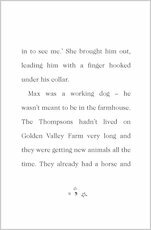 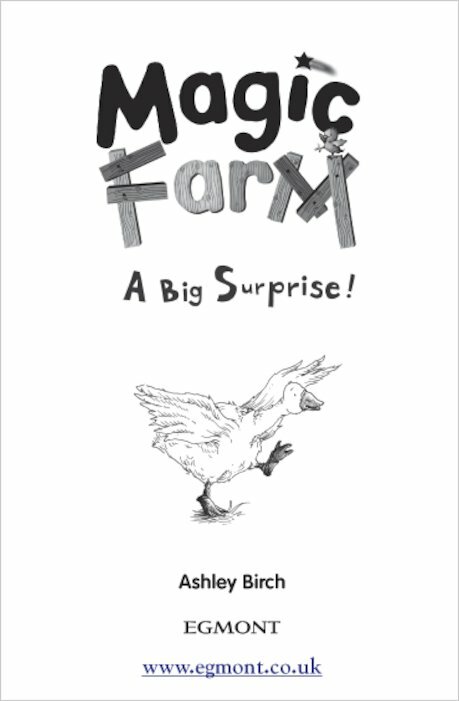 Magic Farm: A Big Surprise! 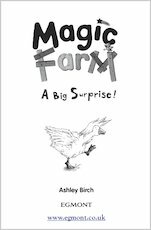 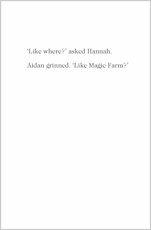 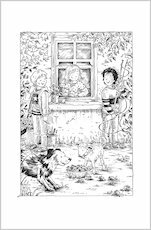 Hannah, Oliver and their friend Aidan are back at Magic Farm, enjoying all its wonders. 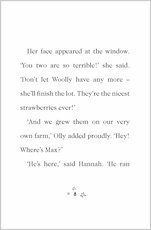 But the scarecrows are in a flap again! 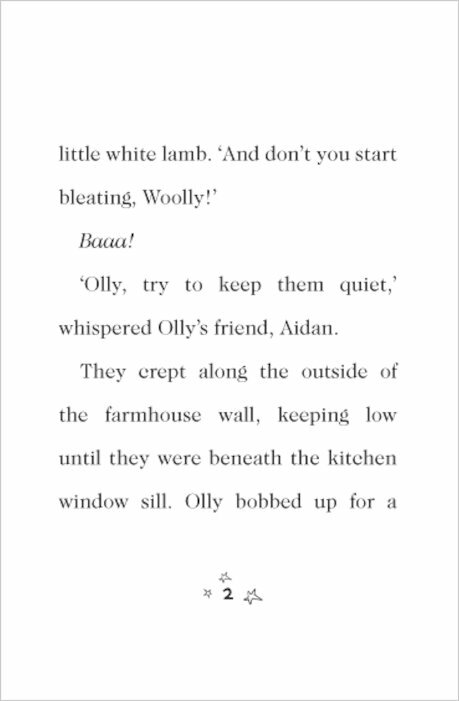 Those pesky Little Rotters have upset the sheep, and now the lambs are in danger! 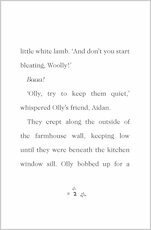 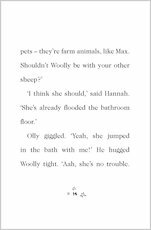 With the help of a sheep-goose and a magical machine called the Duzzit, can the children launch a rescue mission and save the day? 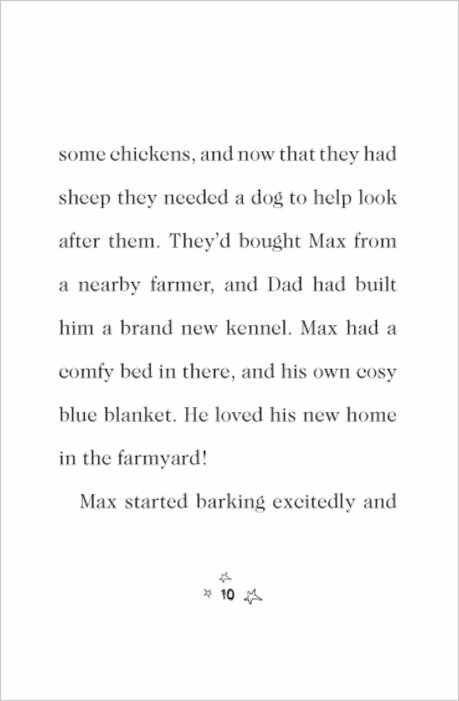 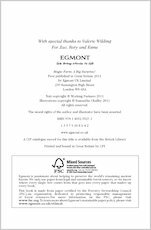 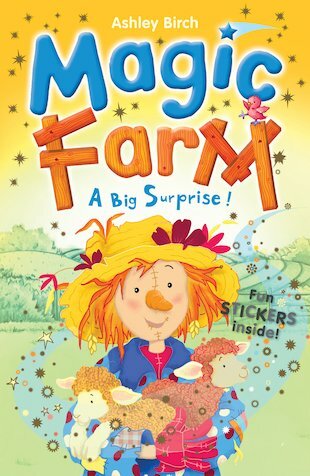 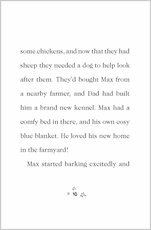 A fantastic farmyard story with fun stickers inside. 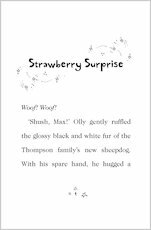 i thought it was really good !!!!!!!!!! The stories were good because there was a magic scarecrows that talked and funny coloured animals. 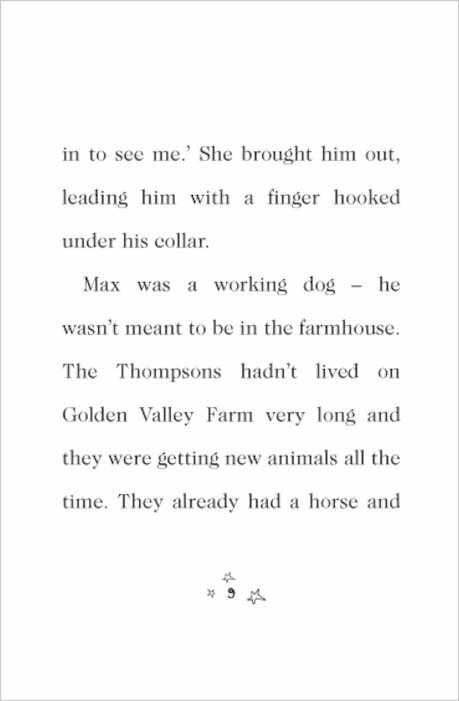 I never knew what was going to happen next. 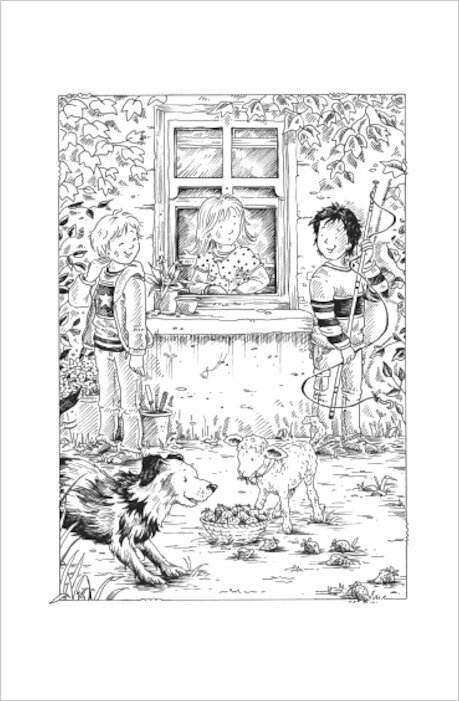 I liked it when they spun round the Scarecrow and disappeared to a magic land with the scarecrows. 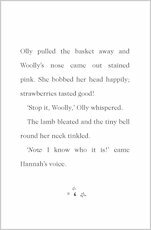 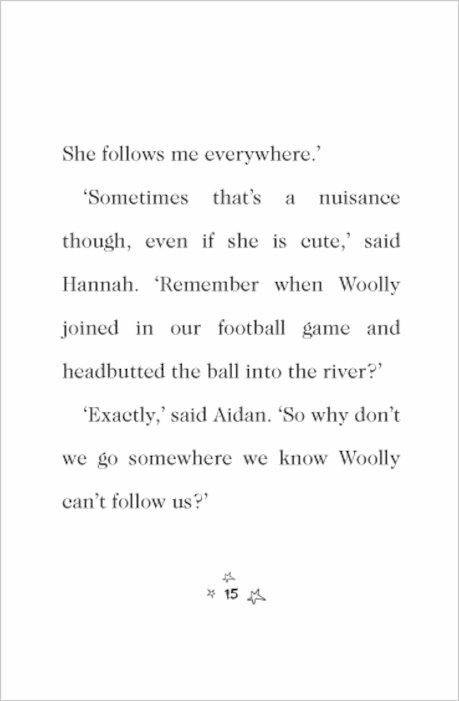 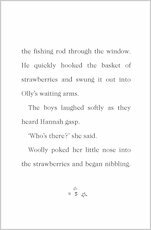 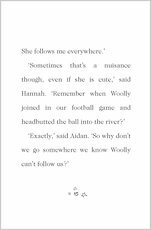 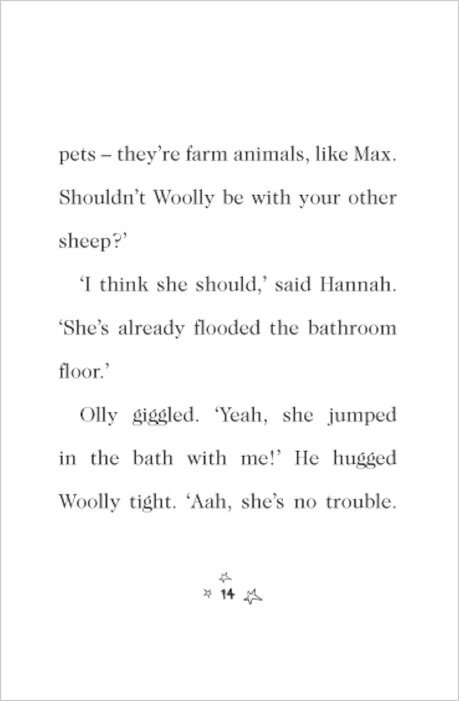 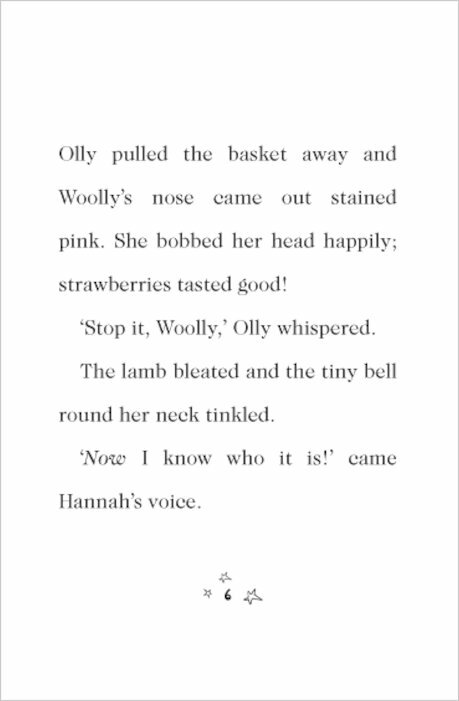 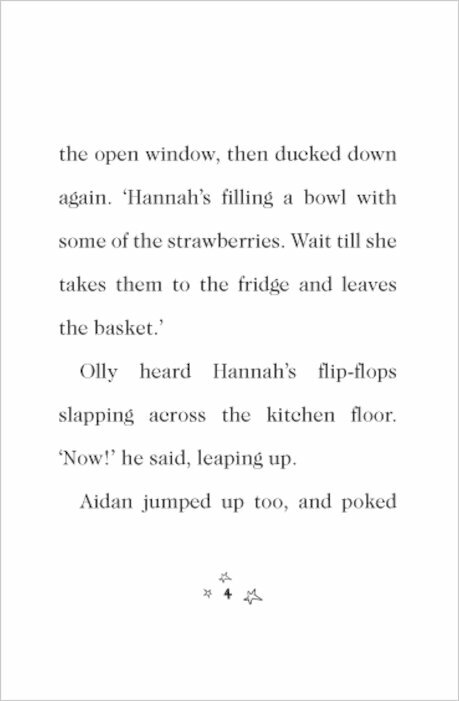 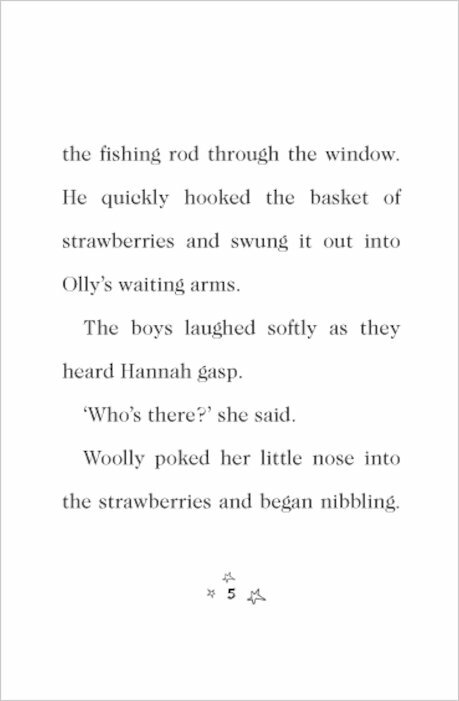 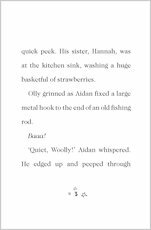 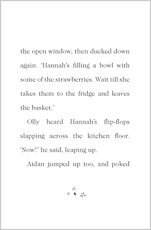 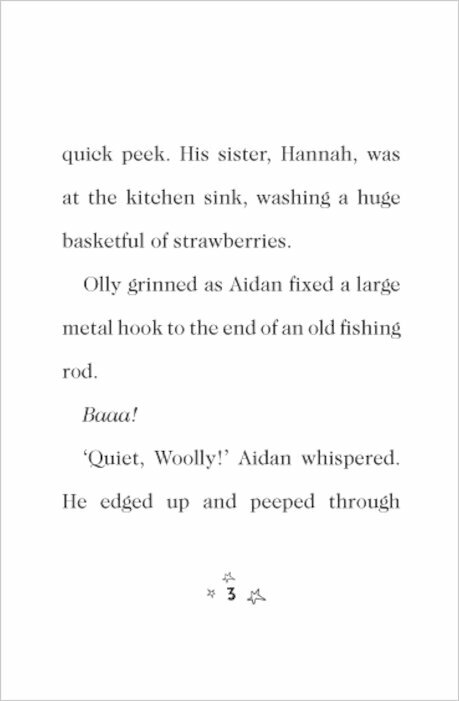 Olly and Hannah were my best characters. 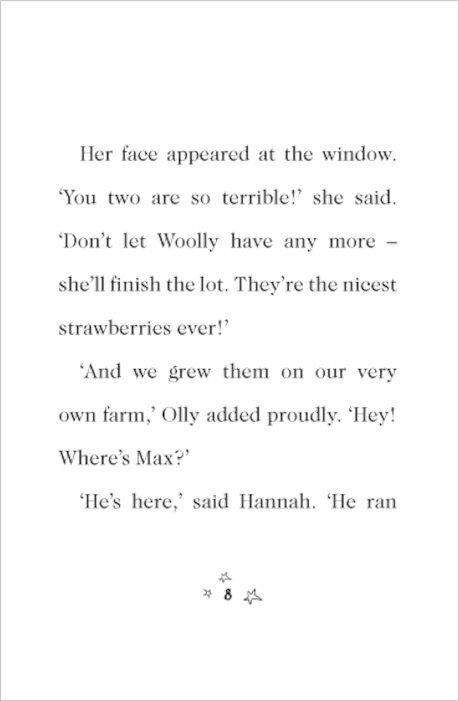 I liked it when the little rotters caused trouble. 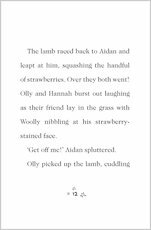 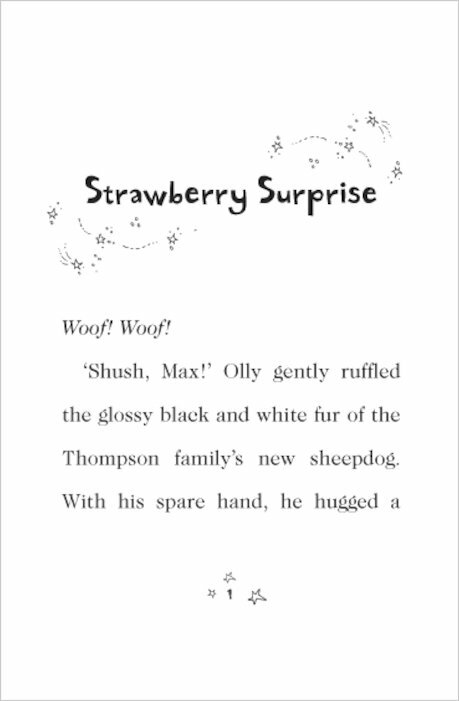 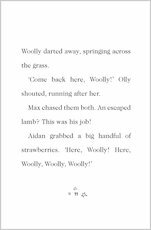 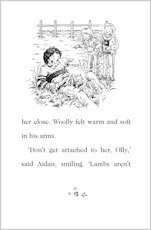 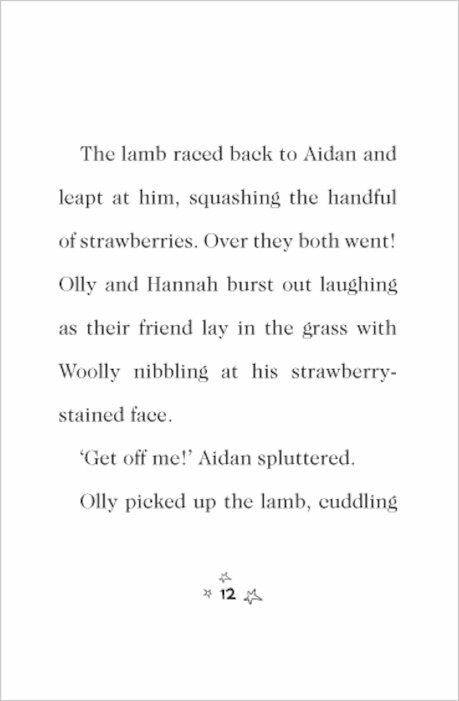 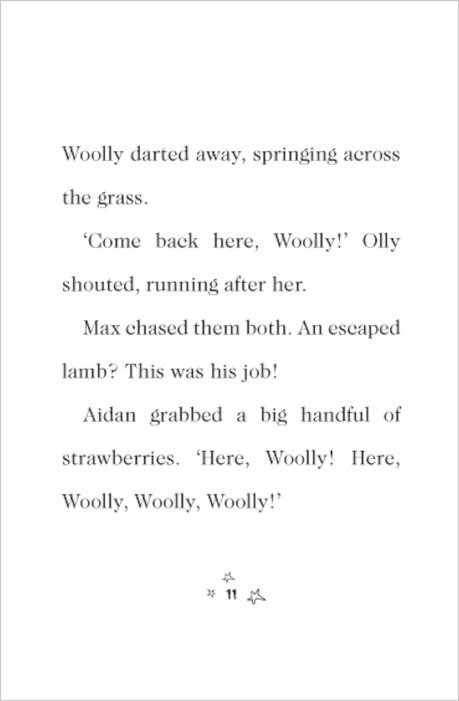 The book kept making me laugh especially when the little lamb ate the strawberries. 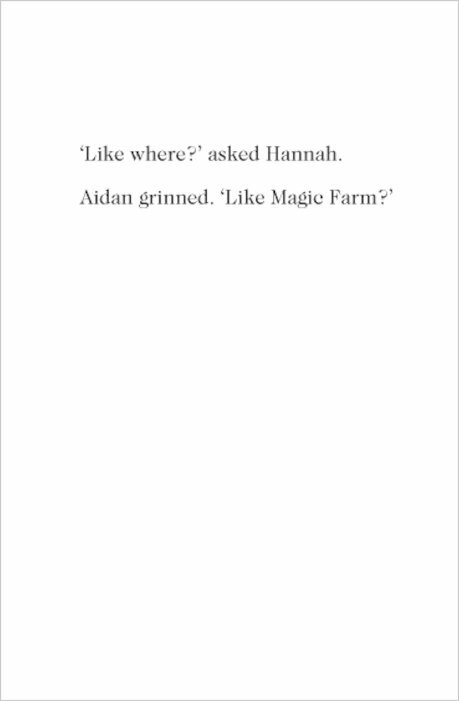 I cant wait to read more stories in this series. 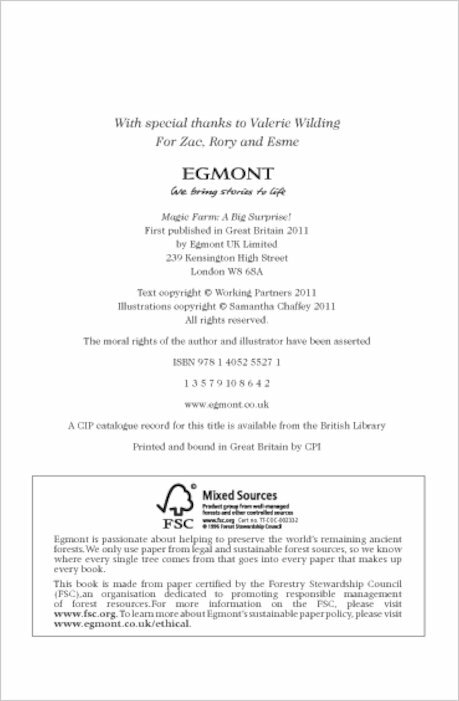 Boys and girls would love to read this book.